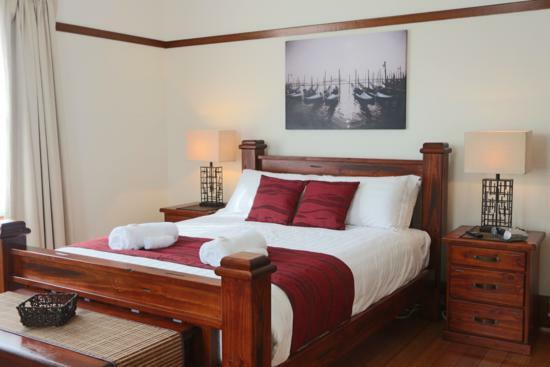 Come stay with us in your choice of beautifully appointed, spacious, 4 star equivalent, air conditioned “yesteryear” with choice of 3 or 4 bedroom accommodation. 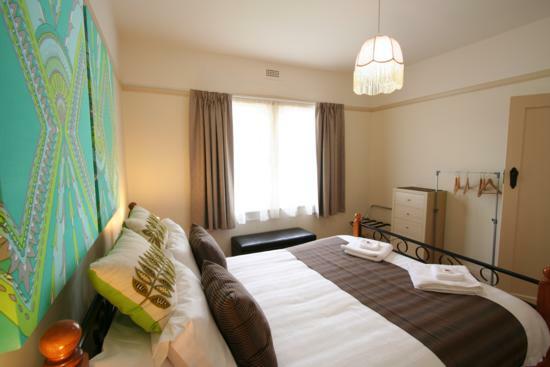 Conveniently located, 100 - 200 metres from Main Road, restaurant precinct, supermarket, shops and bus stops/taxi stands. Ideally suited to couples, families or groups travelling together. Sympathetically renovated but with all comforts required to make your stay not only comfortable but memorable. Beds are either Queen sized or King Singles. (Circa 1934) A large grand residence with 4 bedrooms (2 master)/2 bathrooms with separate kitchen/dining, formal lounge, formal dining and sunroom and bristling with stunning ornate period woodwork features! Accommodation for up to 10 guests.